USDCAD is moving within the 1.29 area. The pair is finding support at 1.29090 with resistance at 1.29370 which both lines are above the weekly pivot point at 1.28690. The EMA of 10 is moving horizontally and it is located below the EMA of 100. The RSI is moving on the 50 level and the MACD indicator is in positive territory but it seems to be so weak; moreover the Stochastic is indicating price fall. 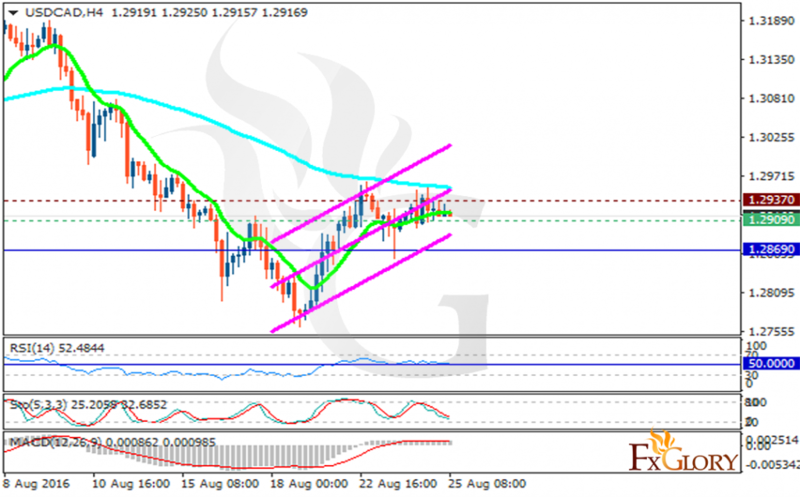 The support level breakthrough will smooth the way for further decline targeting 1.2763.